In today’s heated political climate, there are very few things that both conservatives and progressives can agree upon. One of those things that both sides believe is that Facebook wields more power than the social platform knows what to do with. For the right, it was the alleged election interference that made Facebook the enemy. For the left, it’s been the multiple data breaches and Facebook’s alleged disregard for user privacy that’s put them in their crosshairs. Now, a progressive-led coalition sees Facebook as a monopoly and is petitioning the Federal Trade Commission to break it up. 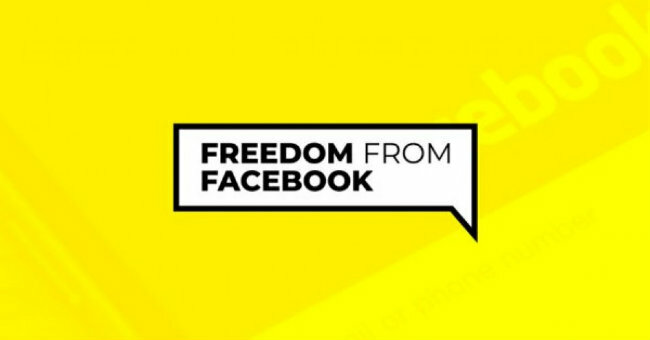 According to Quartz, a coalition of progressive groups has banded together to form ‘Freedom From Facebook’. Their main goal is to have the FTC take four Facebook properties, Facebook, Messenger, Instagram, and WhatsApp, and break them into separate companies. While Facebook has shown that it wields such an ungodly amount of power that Facebook can’t control it all, does it really constitute a monopoly? The most infamous monopoly break-up was that of AT&T being broken up into the Baby Bells in the early 1980s. The main difference between the two companies is while Facebook appears to have a monopoly on social media and messaging, there are actual competitors to its ubiquitous platform. Prior to AT&T’s dissolution, you could not purchase a phone or phone service from any other company in the country. While they may not be as successful as Facebook, there are still successful competitors to each of the parts of Facebook. For social media, there is Twitter and Google Plus. For messaging there’s Kik and Wickr. Lastly, for photo sharing there is Snapchat. While none of these platforms come close to having the user numbers that Facebook does, they still do business and are somewhat successful at it. The problem with Facebook is that the public has willingly entered into a virtual monopoly as many continue to use Facebook exclusively, even in the face of all of Facebook’s scandals. To many, Facebook is today as the TV was to previous generations. It’s the platform most of us sit around in order to see what’s going on in the outside world and with such a wide adoption, it’s unlikely Facebook users will ‘tune out’ without more effective education about its drawbacks.